Over the past five years, the Agence Française de Développement (AFD) and the World Bank Group have coproduced 20 volumes on various dimensions of development in Africa. 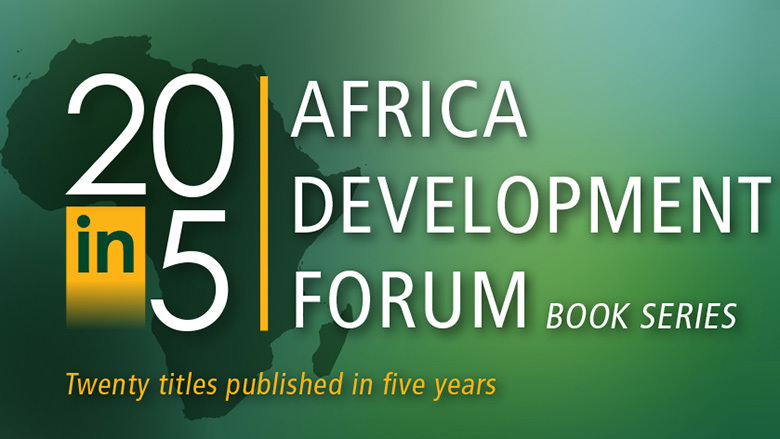 The Africa Development Forum (ADF) book series has addressed subjects including the agricultural, demographic, climatic, and environmental challenges facing African countries, as well as the various methods of financing infrastructure, cities, and social safety nets. In-depth research brings to light specific and diverse situations encountered around the continent. Moving beyond the results of such endeavors, the question remains of how to conduct research that can make a pertinent and meaningful contribution to public policy. Two fundamental tools are required: robust, and often times original, data and cutting-edge research. This research must not only be connected to international realities; it must be firmly anchored in African realities and geared toward public policy making. Based on new data and research, there is reason for optimism about Africa’s demography and development. Population growth rates may continue to be high for some more time, but some underlying signals of approaching widespread fertility declines indicate change is in the offing. And, along with incipient changes in the economy, there is reason to expect Africa to be on an upswing. Growing up in Calcutta, we were brought up on Rabindranath Tagore’s magisterial Bengali poem, Africa, in which, referring to the forces of colonialism, the poet talked about how this continent full of potential is repressed by “civilization’s barbaric greed.” The time has now come for Africa to seize the moment. Despite hundreds of millions spent on more and better household surveys across Africa in recent decades, we only have a very rough idea about the levels and trends in income poverty and inequality in sub-Saharan Africa. Many reasons contribute to this unfortunate state of affairs. Countries coming out of crises undergo rapid structural changes, including migration and big economic shifts. This can complicate the measurement of their progress, sometimes in unexpected ways, as we found out recently in Sierra Leone.